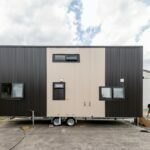 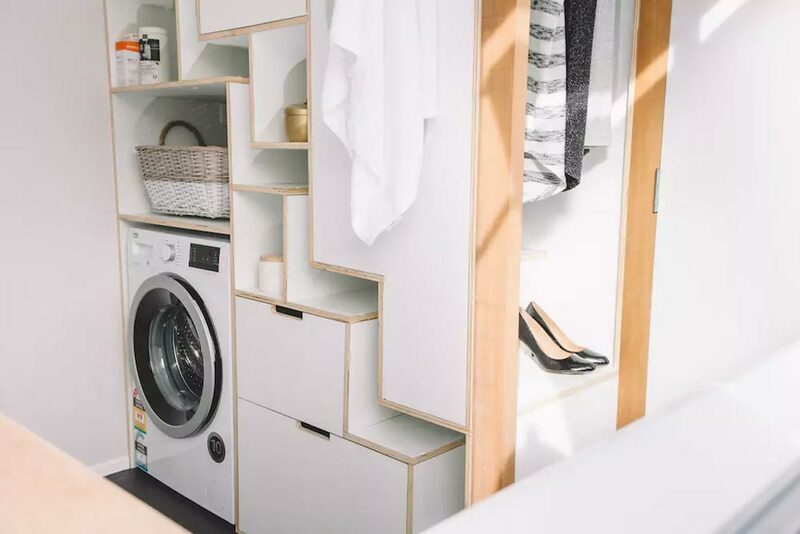 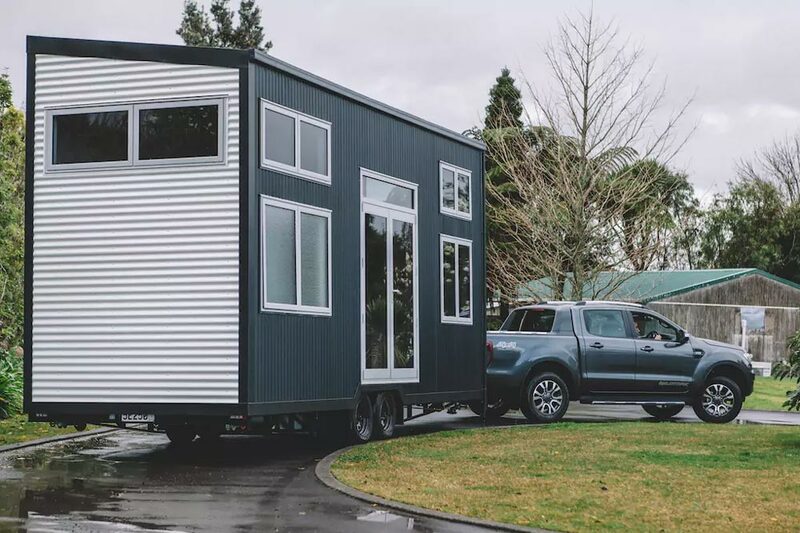 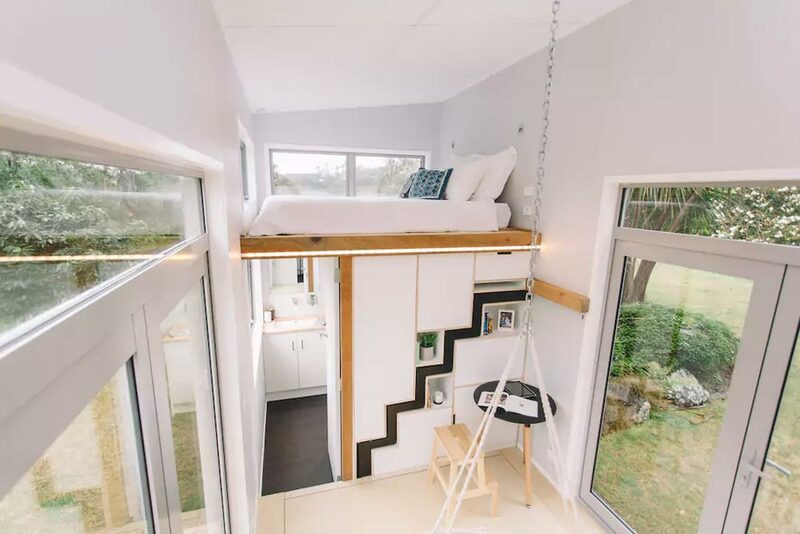 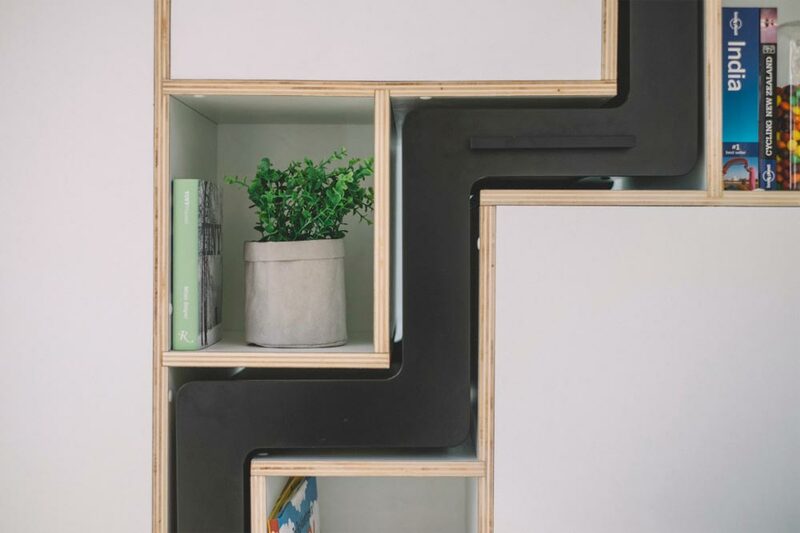 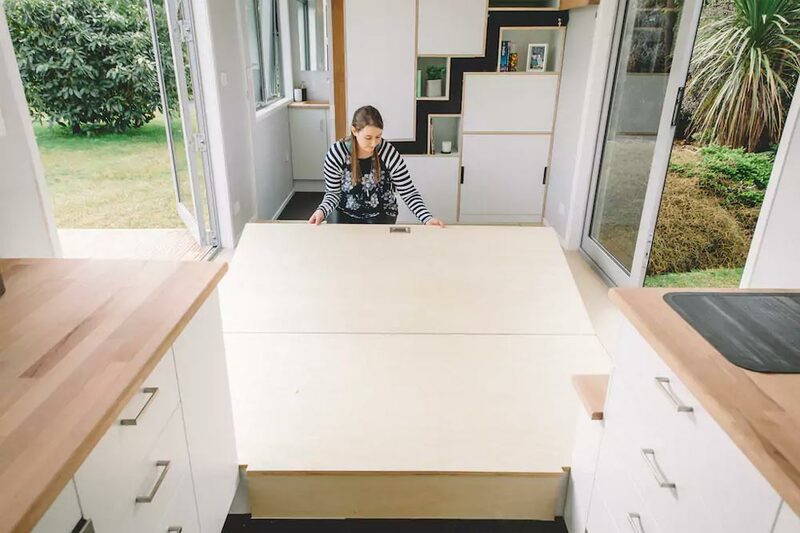 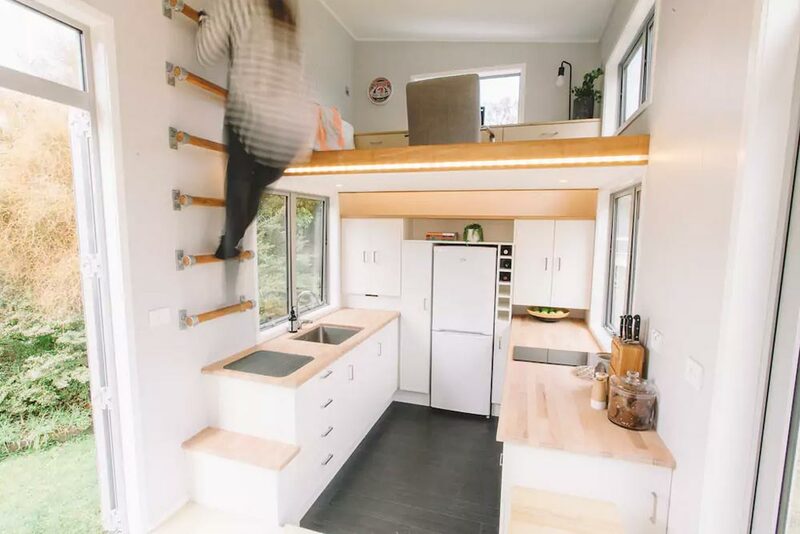 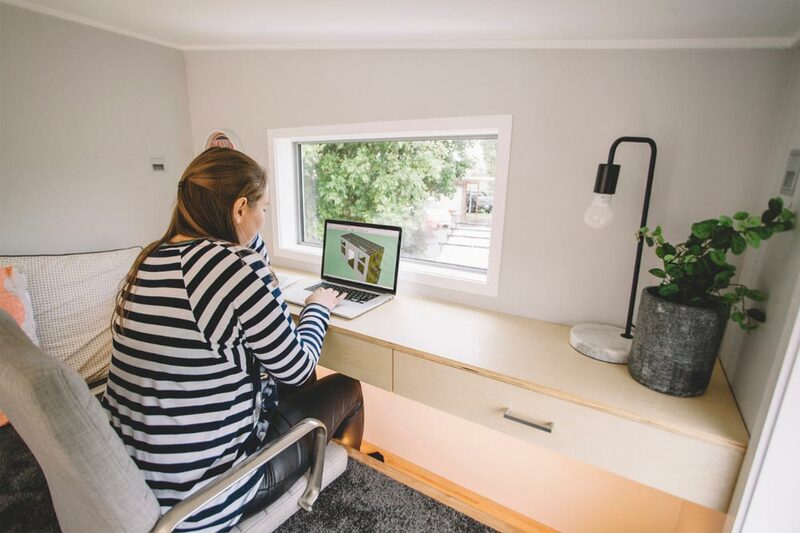 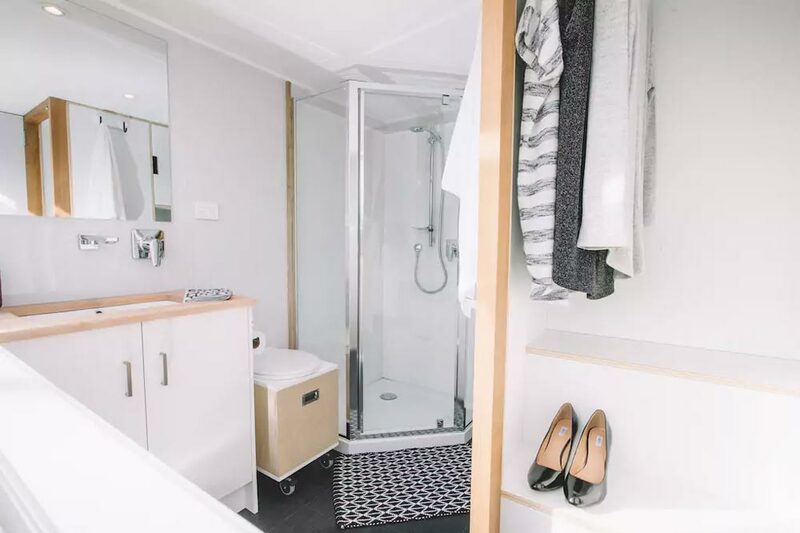 From New Zealand tiny house builder Build Tiny is the Millennial Tiny House, available for nightly rental through Airbnb and located in Katikati, Bay of Plenty. 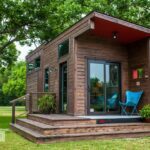 You can stay in the tiny house while you explore what the Bay has to offer! 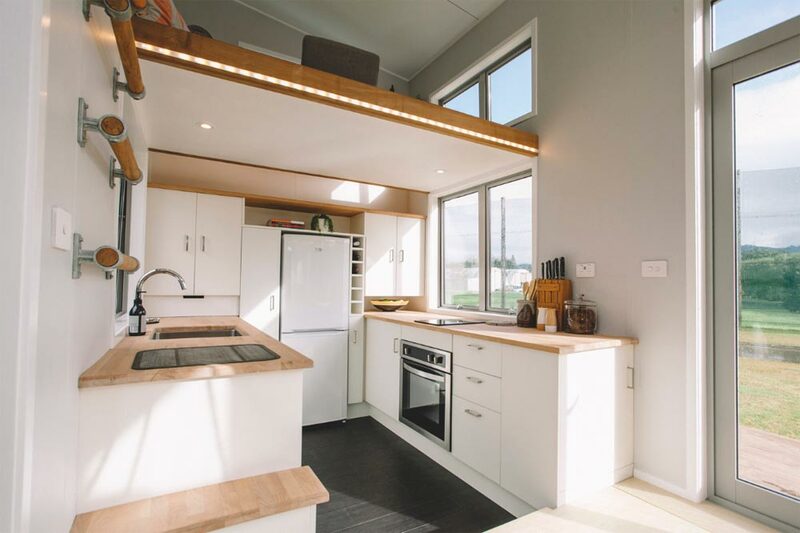 This modern home has large double glazed windows, a retractable staircase, and a large storage compartment under the living room floor. 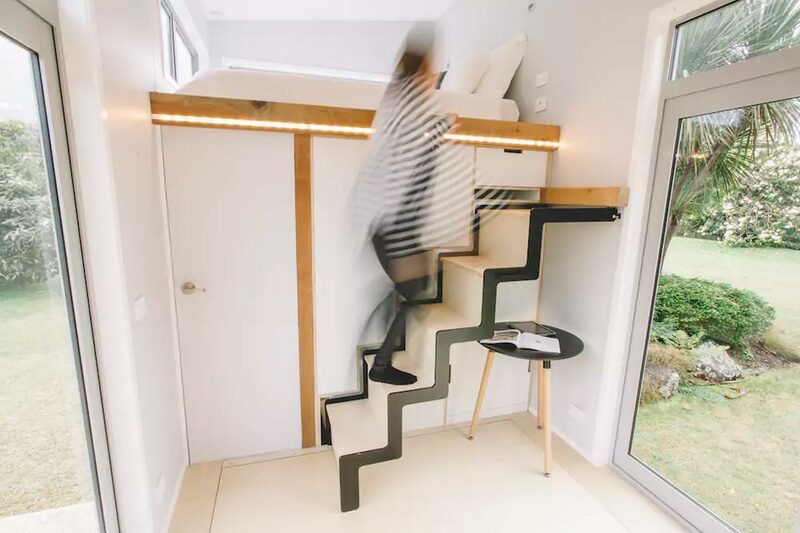 The staircase provides access to the master bedroom loft and a wall ladder accesses an office loft with built-in desk attached to the wall. 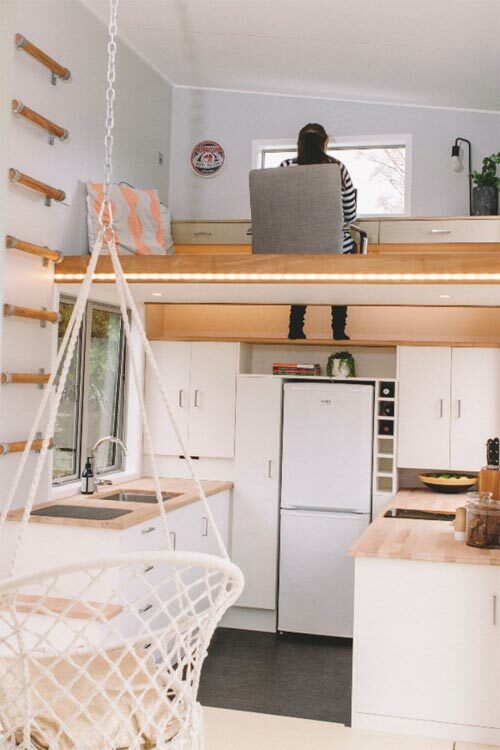 A foot-well drops down to a shelf in the kitchen below to allow you to sit comfortably on the floor. 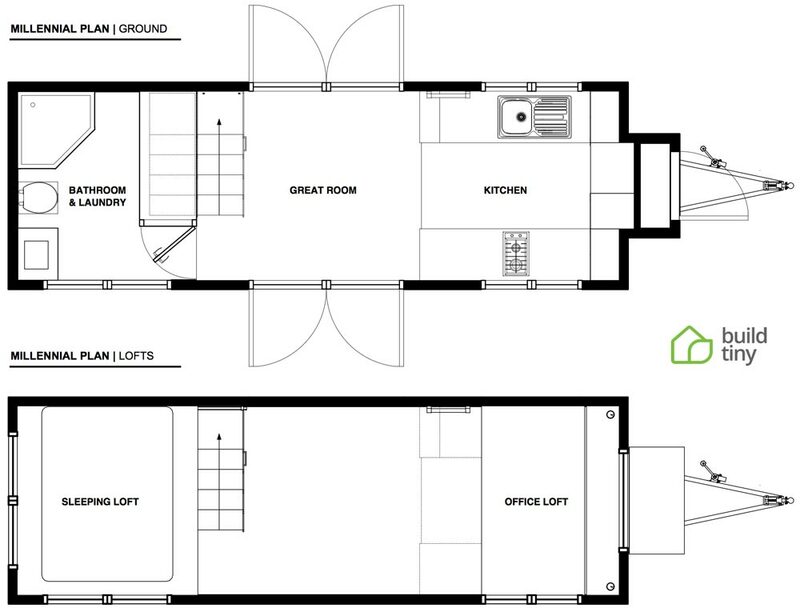 The kitchen offers plenty of storage space, a two burner gas cooktop, an oven, and refrigerator/freezer. 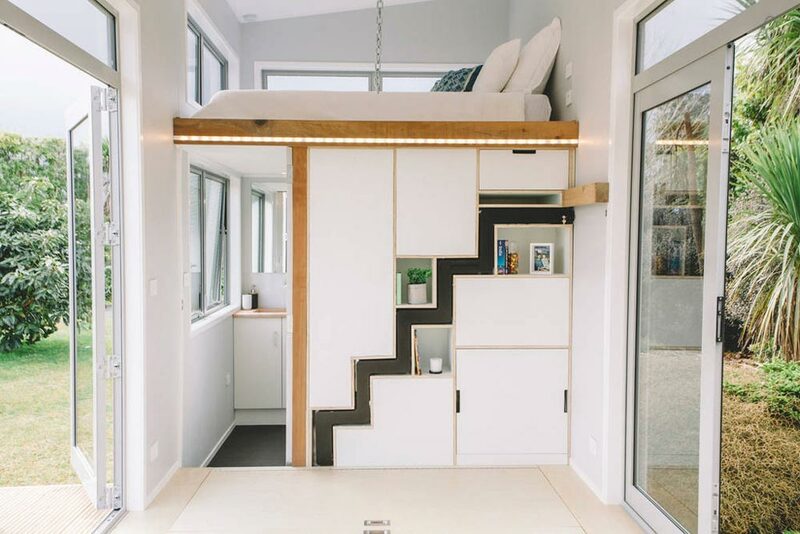 The great room has a built-in shelving and cabinet unit, plywood flooring, and two large opposing French doors for airflow and extended outdoor living. 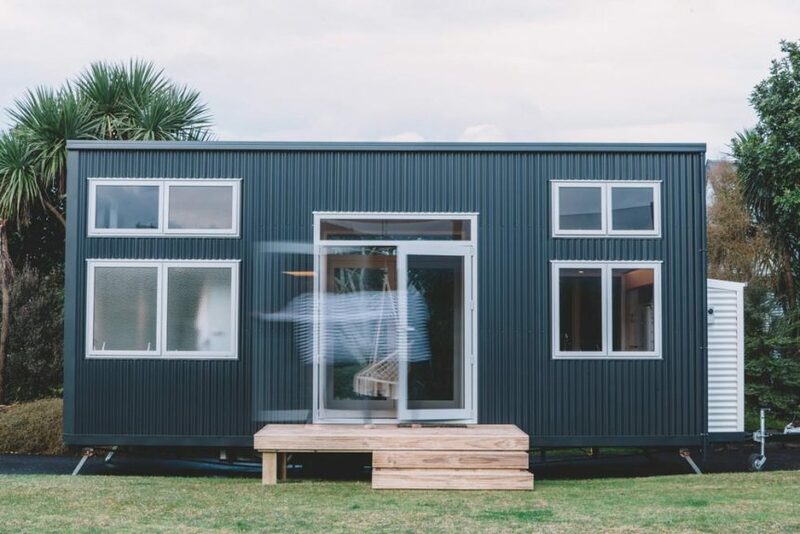 Made from roll-formed steel framing, the lightweight house measures 7.2m x 2.4m (~24ft x 8ft). 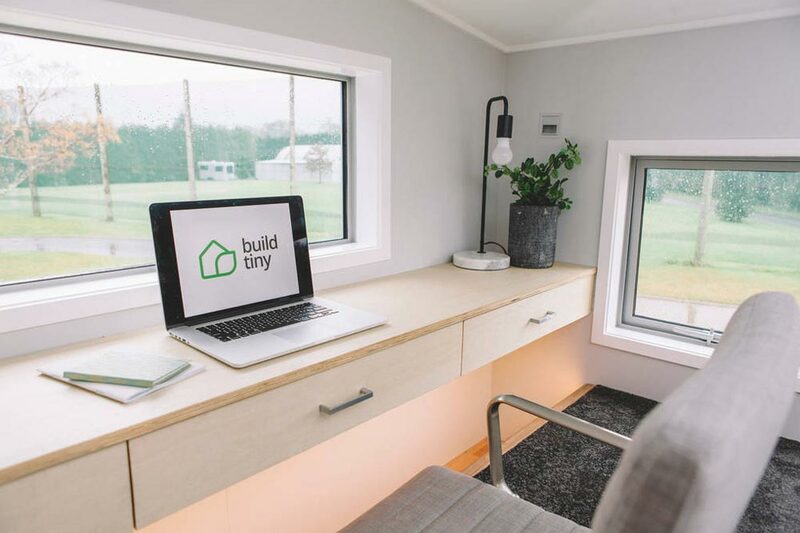 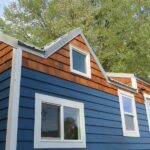 For more information about the Millennial Tiny House, you can visit the Build Tiny website. 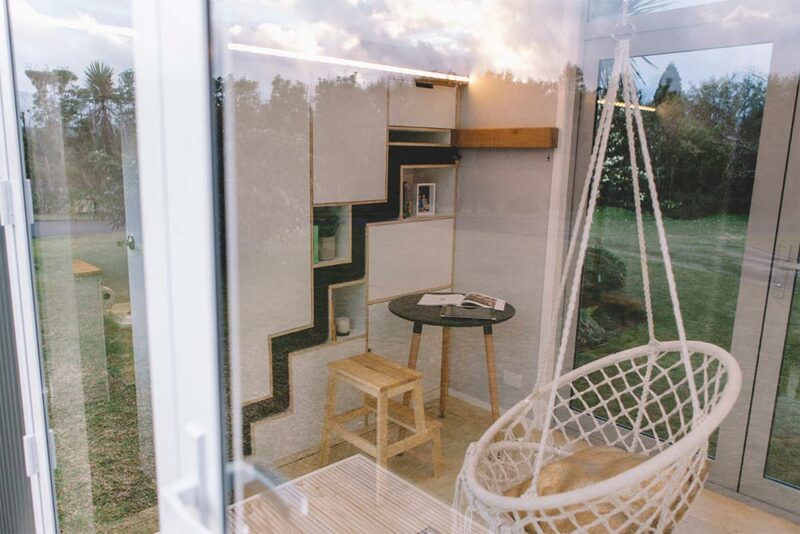 For pricing and availability for the nightly rental, you can view their Airbnb listing. 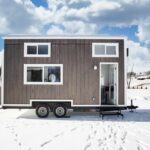 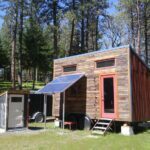 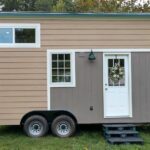 Also available from Build Tiny: Archer Tiny House, Boomer Tiny House, Buster Tiny House, Ibbotson Tiny House.